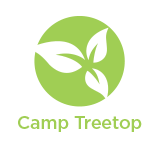 Camp Treetop is our multi-activity outdoor camp for kids 4-12 yrs. Kids learn and explore as they play with bugs, grow food, get messy and have fun doing all the things they love to do including horseback riding, swimming, sports, zip-lining, archery, outdoor education and more! Activities and programs are designed around 4 age groups: Seedlings (4-5 yrs), Explorers (6-7 yrs), Rangers (8-9 yrs) and Trailblazers (10-12 yrs). 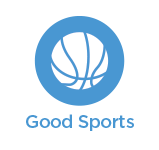 Good Sports multi-sport program for ages 6 to 12 yrs includes a variety of sports daily like soccer, floorball, basketball, climbing, beach volleyball, zip-lining and BMX riding. Available for two age groups – Good Sports Junior for 6 to 7 years and Good Sports Senior for 8 to 12 years. Saddle Camp is our Horseback Riding Camp for ages 6 to 13 yrs. Daily riding lessons, horse care and fun activities for all ability levels. Horses and ponies in our program are gentle natured and experienced with all levels of riders. This year we will be offering two programs – Saddle Club for ages 6 to 12 years and Saddle Skills for ages 8 to 13 years. 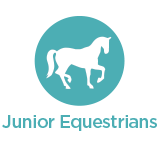 Junior Equestrians is focused on teaching your rider all that they need to know for show day! This camp is for ages 8 to 13 years who are interested in getting into competitive riding or improving their competitive riding level. Farm & Wildlife is a hands-on experience for young people from 8 to 12 years of age who want to make the world a better place for animals. Each day we explore and seek to understand our own connections to animals who live on the farm, in our homes and in the wild. 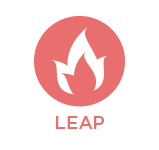 The LEAP Leaders in Training and Counsellors in Training programs are designed for campers 12 to 16 years of age who are preparing for their first volunteer and or work experience. Participants will learn about what it takes to lead, how to work effectively in a team, effective communication, behaviour management and much more.